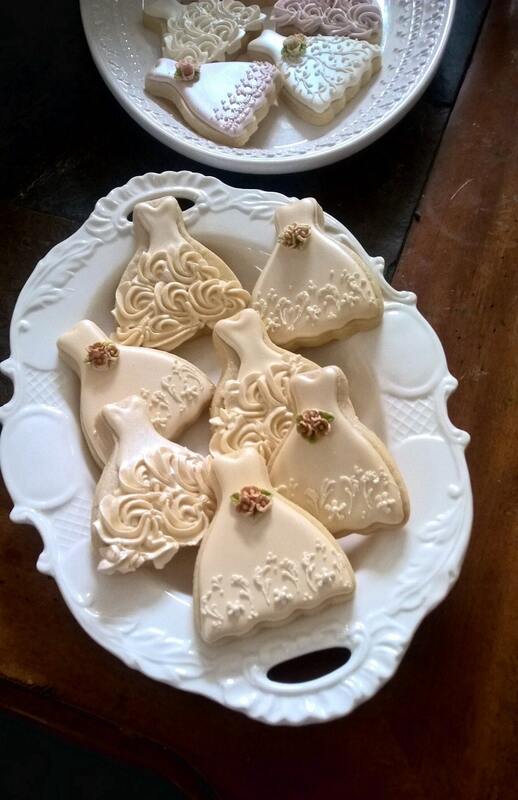 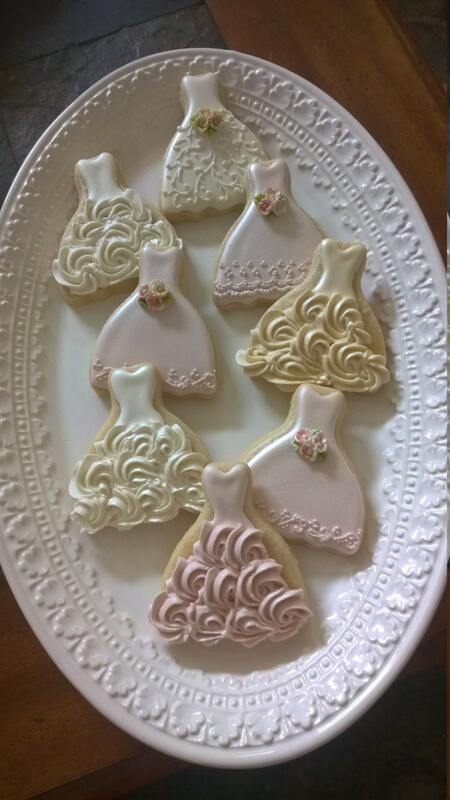 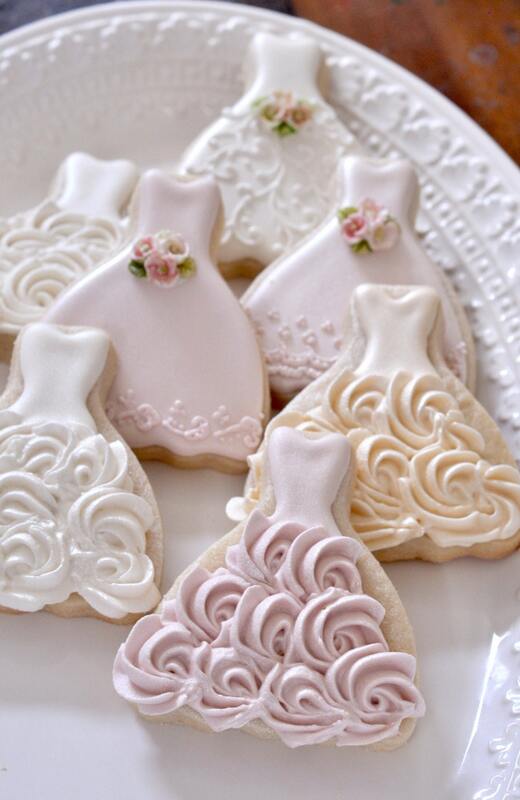 This listing is for 100 PIECES of this lovely petite gown cookies with a molded fondant flower bouquet accen and rossette piped icing details. 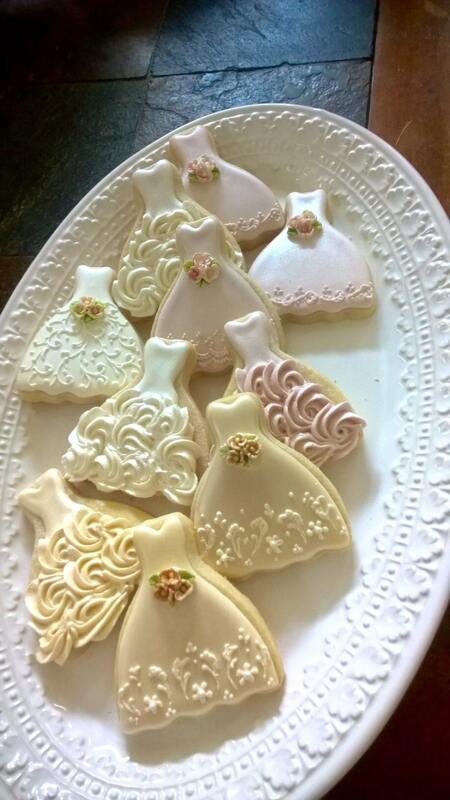 This set will include 50 dresses with rosette icing detail on the skirt and 50 dresses with intricately detailed lace skirt and the fondant flower bouquet. 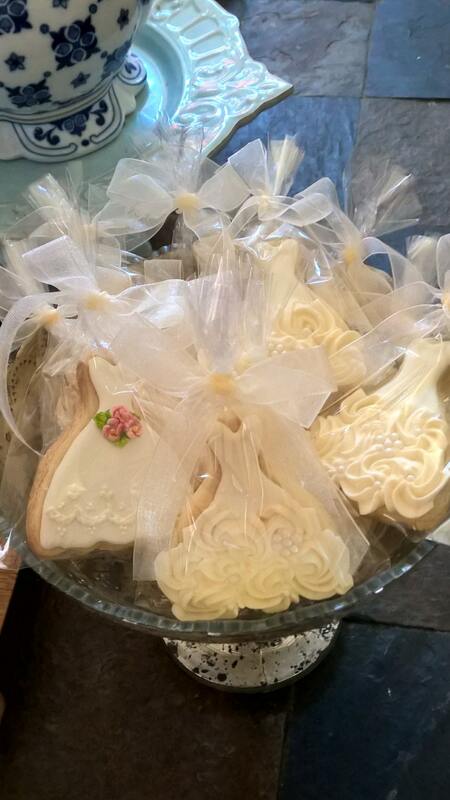 Individually wrapped, either with ribbon tie or without ribbon (flat cellophane).